My grande Starbucks non-fat Vanilla Spice latte, no whip, no foam. Yummy. Even better, I’m still chipping away at Starbucks gift cards from the holidays so this baby almost feels free! 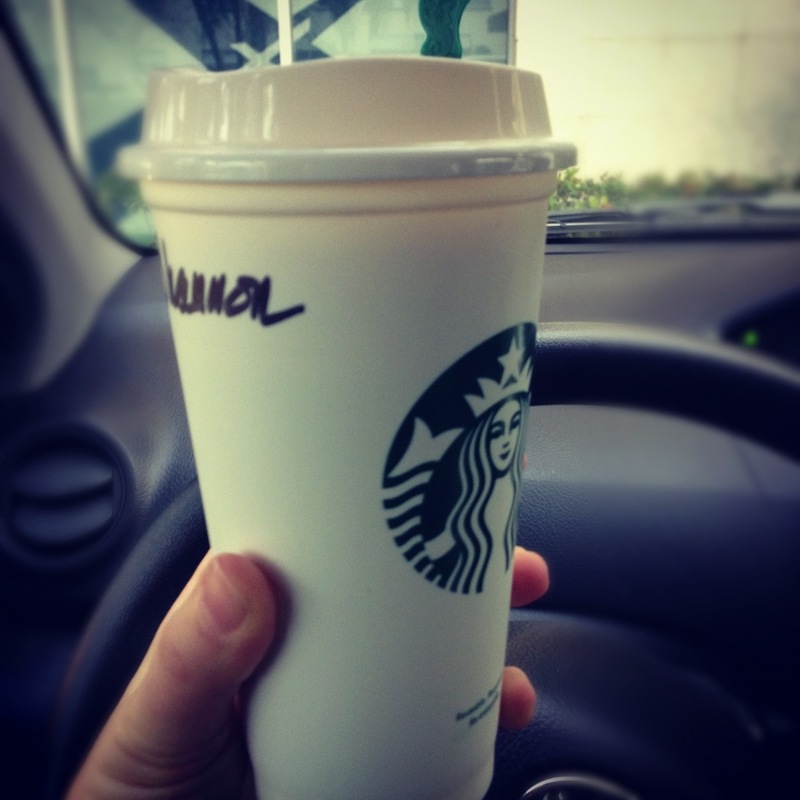 I even love stopping at my neighborhood Starbucks, which has no drive-thru so you have to go inside. I love seeing the regulars and having some of the baristas actually act like they recognize me (which they really should by now). It’s just a good start to the day before I turn my car onto the highways and have to inch through crawling traffic until I get to the bridge. See, there is my silver lining to Mondays. 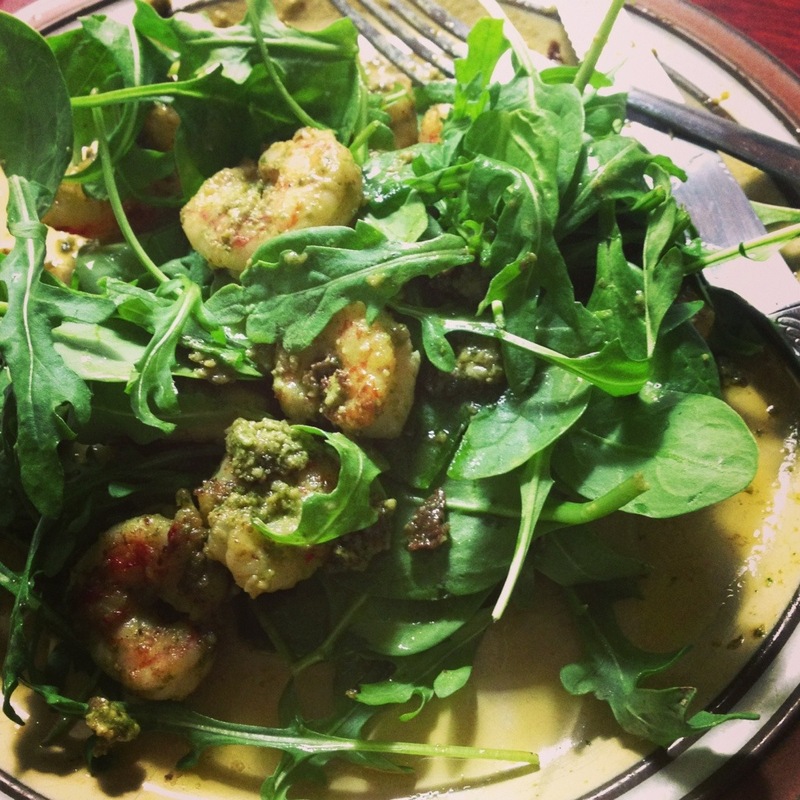 Pesto shrimp with arugula and spinach. Yum. 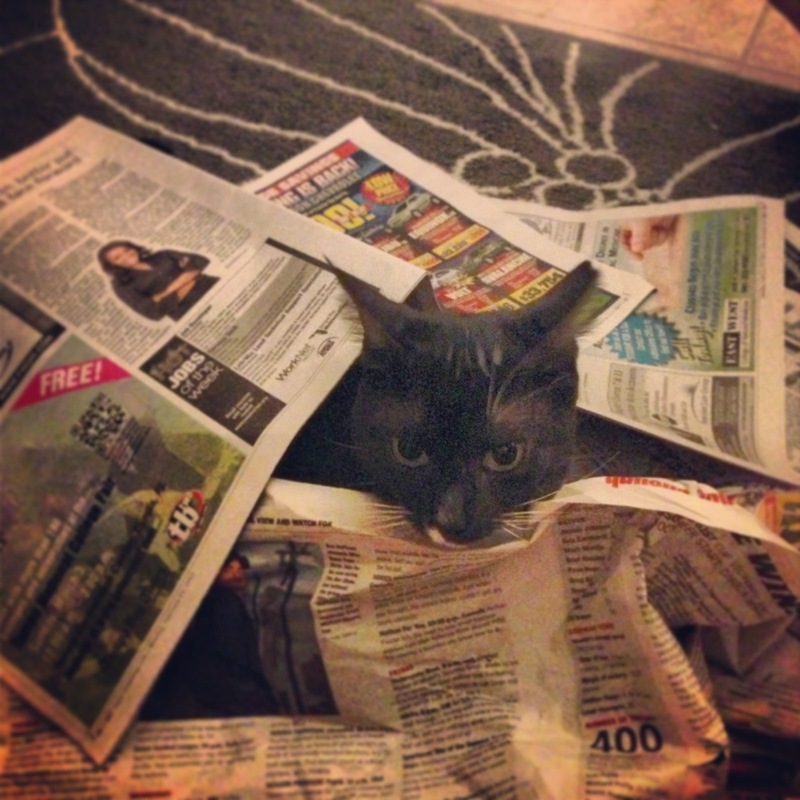 Yes, ladies and gentlemen meet my crazy newspaper borrowing cat. She’s extremely special. Seriously though, I created my first Vine of her that perfectly captures her pure insanity. Then I wrapped up the day with a simple two-ingredient dinner. And let me tell you, if you haven’t given Trader Joe’s prepared frozen foods a try, you are missing out. 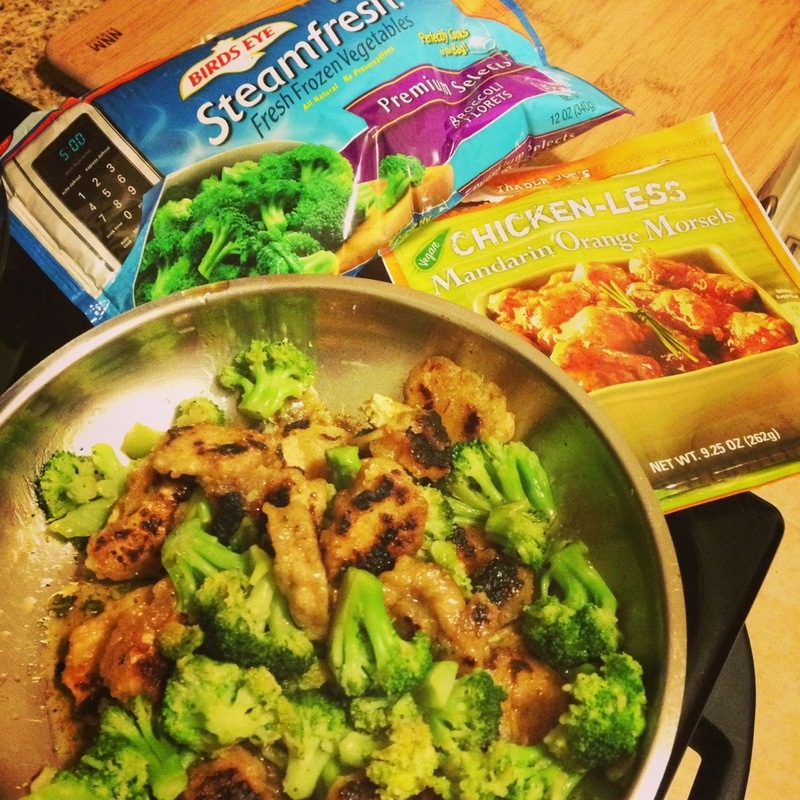 I paired their Chicken-less Mandarin Orange Morsels with steamed broccoli making a yummy, fast meal, plus leftovers since this makes two perfectly sized portions. I never thought I’d say it, but Mondays may not be that bad. « I missed blogging and am so glad to be back!